WTF? Why does it have two kitchens. And why face the stupid looking sofa so you're watching the balcony instead of the tv behind you. One of the kitchens is a self contained one bedroom apartment included. 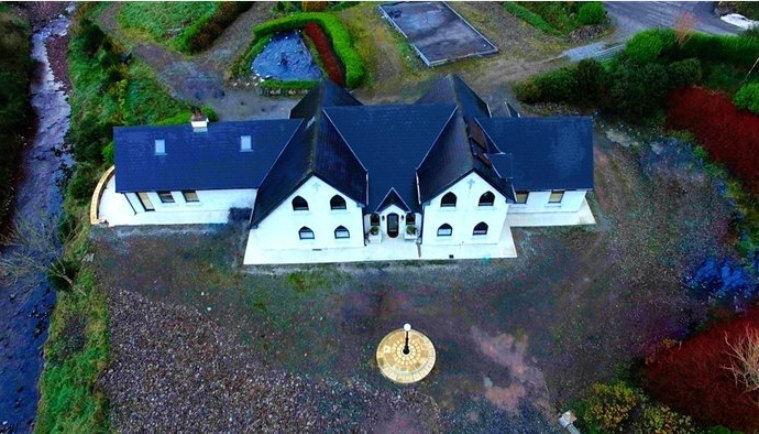 Looks like a recent macmansion to me judging by the state of it and the site its built on, what makes you think it was a church? My bad. Totally missed the outside photo as I got bored going through many of the 70-odd photos. The ridiculous bits of shutters on the bathroom windows in pic 30 that wouldn't cover the window. Same in pic 33. Grey skirting and white architrave around the doors? Would it not make more sense to have them the same colour? Pic 5. Why is the corner press in the kitchen white while the rest of the kitchen is cream? Pic 18. Kitchen island a different wood to the rest of the kitchen. Pic 19. Chairs beside the kitchen island too high to actually sit at the island. Pic 19. Those pedestals beside the front door look like they belong in a church. Pic 20. For such a big expensive house, the stairs is remarkably cheap looking. Pic 21. Very few matching doors throughout the house. Would it not be better to have the same finish throughout? They seriously like those pendulum style clocks. They are everywhere. The sh1te rattan chairs in the apartment. Pic 70. Yeah, I'm not even going to talk about the bit of a balcony in pic 35. I have to say I do like the doors in pic 21 but not in that setting. Yep. And wicker furniture? Not to mention the beds and the horrible christmas decorations. That person has money but no taste. For me it was the state if the garden and outside area. In the first photo it looks absolutly awful nearly as if nobody really bothered with it and especially the large concrete base with scattered bits of wood etc why would you show that? Looks like the building was originally a church so it might be where the organ was. Last edited by Guy:Incognito; 24-04-2018 at 09:29. I'd say Mr. McMansion ran out of money. 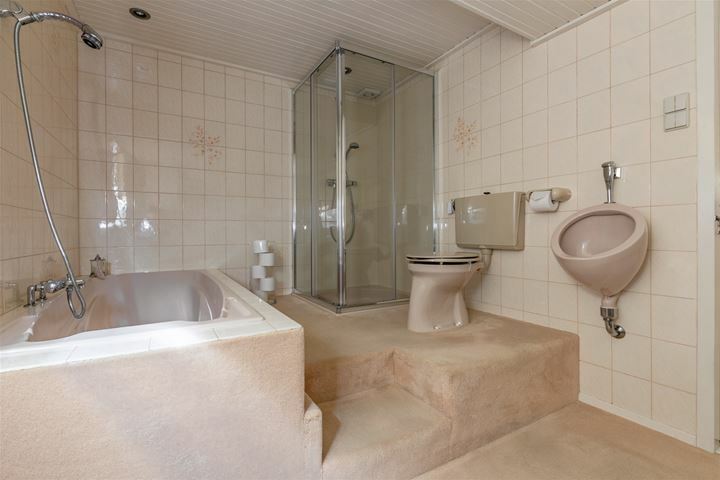 If that's a urinal on the wall and I had to use it, there'd be a fair amount of p1ss on the carpet. No way I could reach that with every drop. And why you'd need a urinal when there's a toilet right beside it is beyond me. Something not completely right with that picture. Something you also see a lot on daft where you see 2 meter wide ovens in kitchens. Just see how high the toilet seat is compared to the rim of the urinal. It is not that high. Let me put it this way, i am rather tall. Most kitchen sinks, toilets, bathroom sinks, office desks et cetera are just a little too low to be comfortable for me as they have been built\installed on averages. If i have kitchens or bathrooms built for me, it would all probably be 10\15 centimeter higher than standard. This picture annoys me for many reasons. Fcuk that. I'd miss more than I'd hit. And if you were meant to p1ss in it from the step, wouldn't it be turned to actually face the step?